We are universally addressed as girls, although the universe here is miniscule. We don’t actually play golf, so our storage area holds just our purses. In the two weeks since I learned to drive a golf cart, I have become a go-cart cowboy. We are actually girls despite our combined years – 163. So, by the way, is your aged mother/aunt/ grandma. My grandma remained one until she was over 90. The golf cart we take to whatever restaurant we can find open in this sleepy mountain village is only half the fun. Which is saying a lot. Taking a left turn on a steep downgrade is as exciting as Magic Mountain. The other half of the fun is living in the Reality Hotel, so nicknamed by my sister, Georgia,who willfully misread my email telling her that I had moved to the PMC Realty Hotel. It suited our theatre of the absurd experience here. The Reality Hotel is comprised of three second-floor rooms linked by a balcony and situated above the realty office. My friend Clara, who lives next door, is waiting for a house deal to close in Las Vegas prior to taking possession of a new home here. Did you know that house deals can fall through on closing day? Well at least they can if they involve reservists and Veterans’ Affairs. There is a new deal but … One way or another, Clara’s new home will not be hers until August 30th. Neither will the spare room with my name on it. Clara has the best room in the Reality Hotel. It has a kitchenette with a little wet bar sink, a microwave and a tiny fridge. She and her cat also have a private bedroom and a flat screen television with a DVD player. My room next door has no such amenities, but it is large, and well carpeted with balconies on both ends. I can leave both doors open to catch the breeze. If there is a breeze. Most mornings it is 80 degrees inside by 10 a.m. It can get well up into the nineties by late afternoon. There is a ceiling fan over the bed, which is mostly for show. There is a portable fan that works much better, however. The good news is that the cool air falls down from the mountains after 7 p.m. I shut the front door at night, but leave the sliding door to the front , stairless balcony open. Whatever climbs in through that window, Bruno the Bear included, is going to get a very rude welcome.I’ve got at least that much repressed rage going on. So you get the picture, high desert with no air conditioning. Most people here don’t have it. After all it only goes up to the high 90s here, whereas in the valley it gets up to 110. I have whined on about the no phone, no internet and analogue TV set in previous posts, so I won’t bore you with that again. 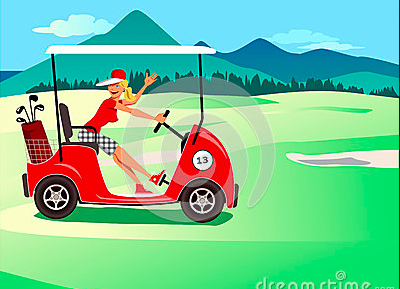 I can always jump into the golf cart and come to the house in the pines or go to the internet cafe -which serves nothing and is often locked, but the signal works on the deck. Clara has her first cell phone, a Verizon phone of course. We AT&T-ers are fresh out of luck. I am teaching her to use it and so, I am able to send a text from time to time. Using Clara’s kitchenette has its own difficulty. Clara always locks her screen door so that Jasmine doesn’t escape. Then she falls asleep. It’s hard to knock on screen and Clara is hard of hearing. I stand there teabag in hand, but, hey, it’s not so bad if you put into room temperature water and leave it for 20 minutes. Because where else can I get hot tea? Well, at the amazing bakery, which makes to-die-for croissants. The bakery is open from 7 to 2 Thursday to Monday. Then there is La Lena, the Mexican restaurant. Amazingly you can get hot tea there as well as beer with lime, but it’s at the other end of town. That brings up the question of what to eat and where. It is possible to eat cheese enchiladas three times a day at La Lena. That hard working family does not work on mountain time. They work seven days a week, breakfast through dinner. The pizza restaurant is open from 2 to 7, later on weekends, closed on Wednesday. Their chicken Caesar is made with pre-frozen cubes which puts it a step down from La Lena’s meat. Mommy’s Roadhouse downstairs from Madd Bailey’s bar does a decent Angus burger and closes Wednesday. Then there is the club house which is open for breakfast and lunch every day, but serves dinner only from Thursday to Sunday. In other words, it is closed Wednesday night. The best restaurant is Silva Bella, although the chef leans heavily on milk and the prices are high. If you want to eat on Wenesday, however, that’s the place. If you are working with food allergies, you are up against even if it isn’t Wednesday. At least once a week, sometimes more I eat at the house in the pines and cook a family meal that often as well. I am happy warming up leftovers from the house in the microwave or tossing a spinach salad, but Clara -not so much. Often I eat my gluten free breakfast and then drive her to the club where she eats scrambled eggs and I drink tea. If I order toast, I get a special commendation from the wait staff. So here upon this bank and shoal of time, we wait for the resolution of our various problems. We wait at the Reality Hotel. 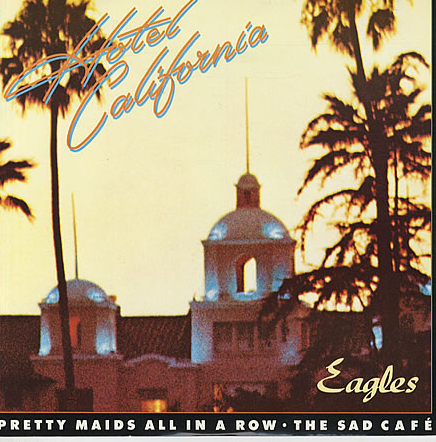 What’s that song: They’re living it up at the hotel California…… Then isn’t there something about “You can check out any time you like/But you can never leave.